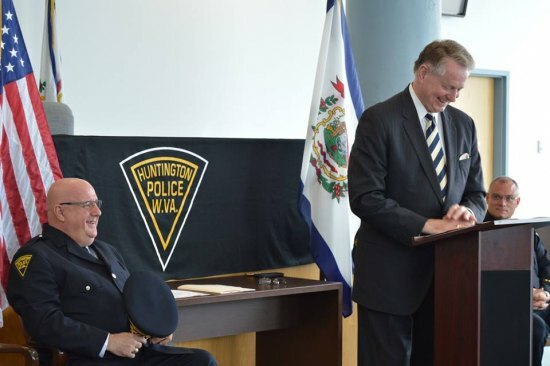 Police Chief Hank Dial was publicly sworn-in today in the municipal courtroom at the Huntington Police Department. Dial, 50, is a 26-year veteran of the Police Department. “I wanted to be chief because I love this department and I love this city. It’s very personal to me. It was never my goal to be a chief of police somewhere- it was my goal to be the chief of police in Huntington, West Virginia,” Dial said. He began his career in the Patrol Bureau and also served as the Administrative Bureau commander and the Patrol Bureau commander for five years before he was named interim chief of police in January. As part of the celebration, The West Virginia Building will be lit in our special red and blue "police siren" pattern tonight in celebration of our new Police Chief, Hank Dial. "We look forward to many years of Chief Dial's leadership. 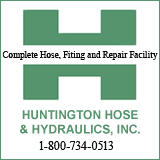 — with Hank Dial," the structure owned by vice chairman of Huntington City Council Alex Vence wrote.